The best PC gamers demand the best equipment. Reliability, peak performance, and excellent quality are what professional gamers need to perform at the highest levels. That’s exactly what the Logitech G Pro Wireless Gaming Mouse delivers. Engineered and developed over two years in collaboration with over 50 of the world’s top esports athletes, the Logitech G Pro Wireless Gaming Mouse is armed with advanced tech and the highest performance components available. Simply put, it has everything you need, and nothing you don’t. Here are three ways the Logitech G Pro Wireless Gaming Mouse stands above the rest. While pro gamers might not immediately be interested in wireless gaming mice, they invest a lot of time and money ensuring the mouse cord feels like it’s not even there. A pro’s mouse setup can include everything from ensuring they have maximum cable flexibility, laying everything out in a specific pattern, to using external hardware like mouse bungees to lift the cord off the table. Logitech G’s Lightspeed Wireless is the perfect solution to this. It not only erases cord-bound disasters, it tosses wireless limitations out the window, with a 1ms report rate and completely lag-free connectivity. Plus, the Lightspeed Wireless is PowerPlay compatible, so if you have the PowerPlay Wireless Charging System, you’ll enjoy glorious, limitless battery life. Partnering up with the Lightspeed Wireless is a pro-grade, next generation Hero 16K sensor. It’s the most accurate Logitech sensor yet, and it nukes input lag while granting precise movements. Like the rest of the Logitech G Pro Wireless Mouse, it’s perfect for esports pros, capable of speeds up to 400+ inches per second, and all while delivering exceptional reactivity and the accuracy required to execute perfect, game-clinching flickshots. What does all that translate into? Simple: winning more matches of CS:GO, Overwatch, League of Legends, PUBG, Dota 2, and all the rest of your go-to games. The Logitech G Pro Wireless Gaming Mouse has loads of extra features that let you tweak it to fit your own desires. The body is ambidextrous and there are eight total buttons available. Feel free to attach each of the four magnetised side buttons, leave them all off, stick with two on one side, or anything in between – it’s totally up to you. All of the buttons are easy on the fingers, too – it’s effortless to click them, and they’re programmable. With the brand new Logitech G Hub, gamers can completely customise their gaming gear to their personal taste, including effortlessly setting your mouse DPI, personalising your Lightsync lighting, assigning specific functions to G-keys, and more advanced options. 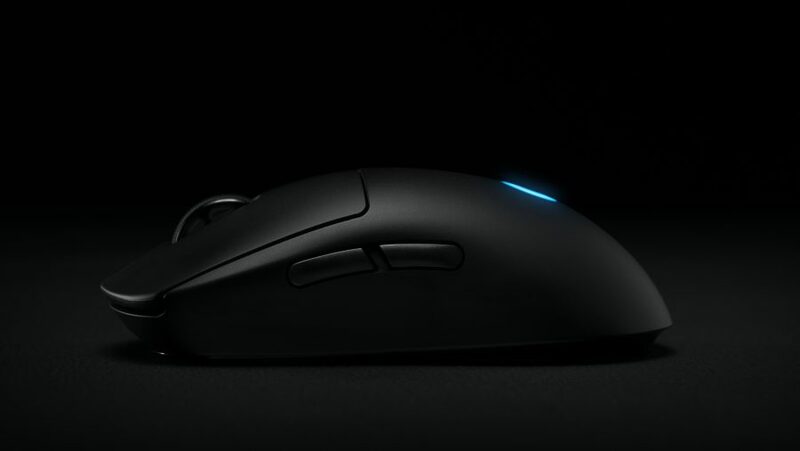 The Logitech G Pro Wireless Gaming Mouse uses Logitech Lightsync RGB, with up to 16.8 million colours. 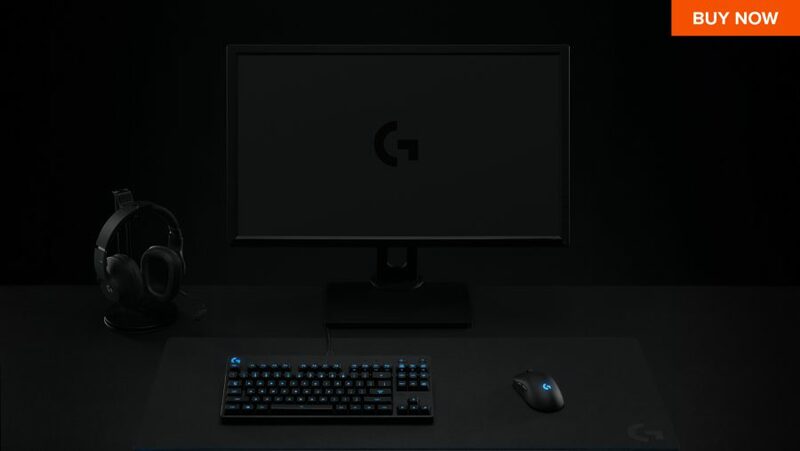 It can also harmonise with other Logitech G products, and Lightsync adds some stunning lighting effects from in-game actions, your favourite music, and more. Rounding everything off is an internal battery with 48 hours of juice, a DPI button on the bottom of the mouse so you won’t accidentally press it in-game, and a compartment with a magnetic storage cover to keep your USB receiver happy and safe when not in use. 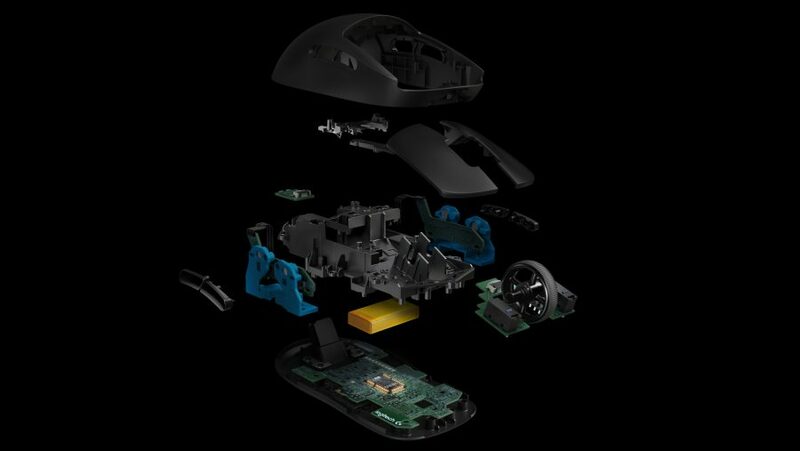 During long, intense gaming sessions, a heavy mouse is like an anvil in your hand, hampering those important wrist flicks and sudden movements. With the Logitech G Pro Wireless Gaming Mouse, the chassis instead feels like it disappears under your palm, as if it’s a natural extension of your hand and arm. It uses a lightweight interior with an extra thin PCB, an ultra-light spoked scroll wheel, and a 1mm outer wall for a staggeringly low weight of 80 grams overall. That said, don’t let the lightweight design fool you – it’s strong and sturdy, with plenty of structural support: more than ready for the rigours of tournament play. For more info on how to get your hands on your very own Logitech G Pro Wireless Gaming Mouse, head over to Logitech G. Designed by pros and engineered to win, you’ll conquer the competition like never before.